“Look Out, we are about to become famous!” he said shoveling mulch as I snapped a picture of the busy gardeners. 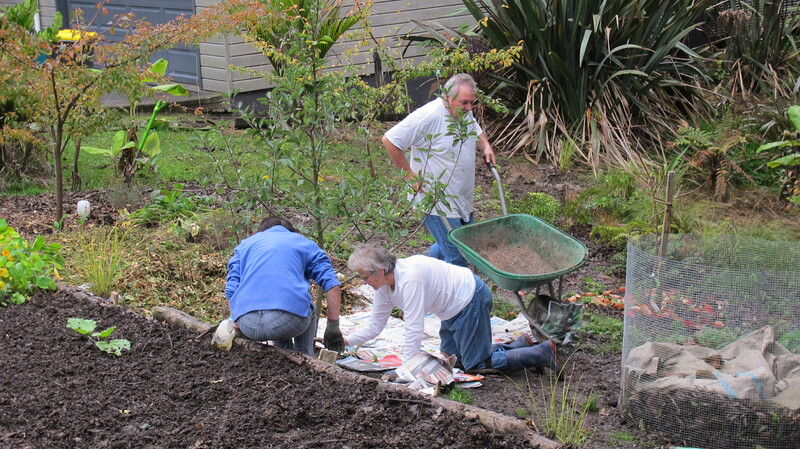 Fruit trees were being mulched and bedded in to a small patch of ground covering the Bishop stream culvert in Wirihana Avenue, Glen Eden, Auckland, New Zealand. 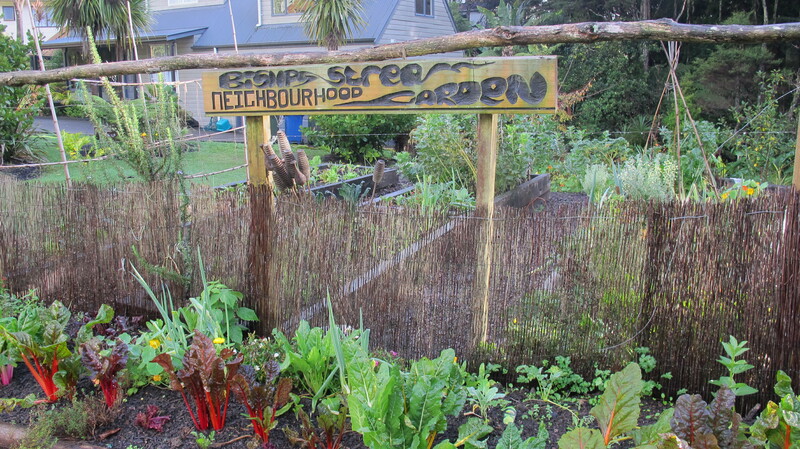 the backyard patch of grass has been cultivated into a Community Garden worked by eight neighbours. The patch of ex-reserve land keeps eight families supplied with salad greens and vegetables throughout the year with communal working bees ‘About every two weeks or as needed’. “The workers getting abused again”, the reply from the wheel barrow driver. A narrow cultivated strip along the street frontage grows extra plants for anyone passing to harvest. Extra produce from community plots is taken to the West Auckland food bank. 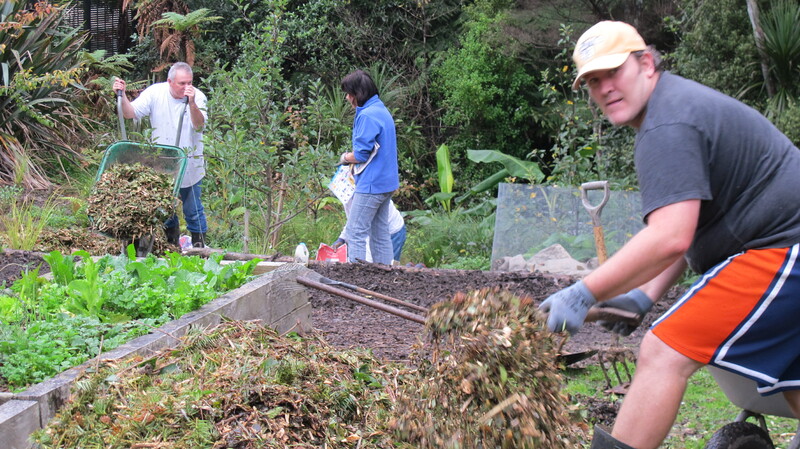 The Auckland City Council is open to proposals from neighbourhood groups wishing to use reserve areas for vegetable gardens and can help set up the garden. Passers by are invited to harvest greens from the Bishop Stream Community Garden front plot.